Defining your playground needs is the very 1st step to playground planning. 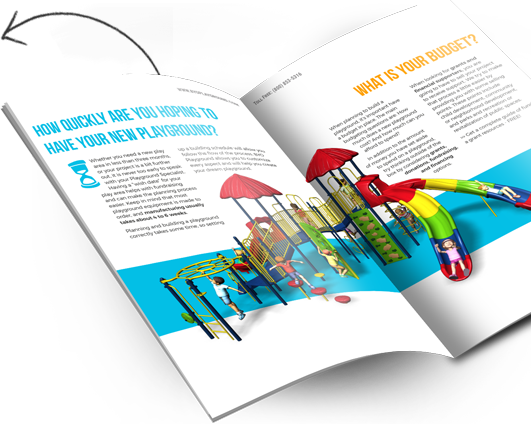 This FREE Playground Assessment overview will help you establish your age group, get an idea of how many children will use your play area, how much space you need when you should expect your playground equipment, and what your budget should be. Different age groups have different developmental needs. All our play equipment falls into four age ranges – 6 to 23 months, 2-5 years, 2-12 years, or 5-12 years. When you consider this number, you should have a decent idea of the number of children per age group. Keep in mind the capacity of your playground will include all pieces – structure, swings, and independent play items. Each play item has a use zone or an area that must be surfaced with impact absorbing safety surfacing. Your consultant will take into account the area you have available and help spatially plan where your desired pieces will go. Whether you need a new play area in less than three months, or your project is a bit further out, it is never too early to speak with your Playground Specialist. Having a "wish date" for your play area helps with fundraising and can make the planning process easier. How much do you have allotted to spend on your play area? Keep all factors in mind! Playground equipment accounts for nearly half of an estimated budget, while installation clocks in around 30% and surfacing and shipping equate to approximately 10% each. Know whether to choose a certified professional from BYO Recreation or to self-install using volunteers. Have a maintenance plan in place to keep your play area in compliance with warranty requirements. identify factors that may have been missed during the initial planning stages. scratch, a consultant is ready to work with you one-on-one. Once the five key factors of your playground assessment are established, you’ll have a better idea of exactly who you’re building your playground for and how. You’ll be able to serve the right age group, the appropriate number, and children within your allotted space – all within your budget. BYO Playground offers popular turn-key structures that come with pre-determined project scopes. They’re a great all-in-one option that includes surfacing, borders, and ramps. But they’re not for everyone. With a properly established playground needs assessment, you can utilize our expertise to turn your vision into a reality. You may find that you need a playground that requires ramps or special accommodations for children with disabilities. Or you make like to incorporate a special theme or more immersive play components. Assessing your playground needs is crucial to a successful play space, because no two plans are identical. Because of our extensive custom design capabilities, we can help you create a playground that is as unique as your site. 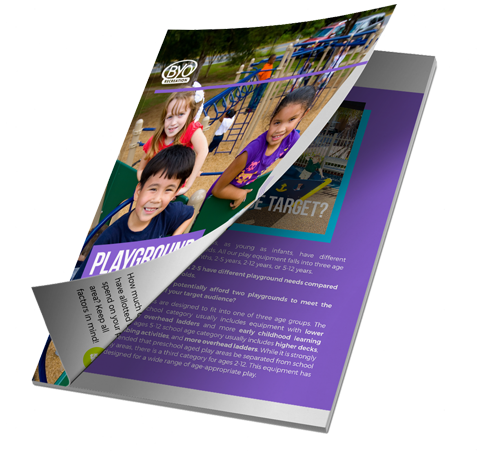 Our step-by-step approach makes formulating your playground needs assessment a walk in the park!